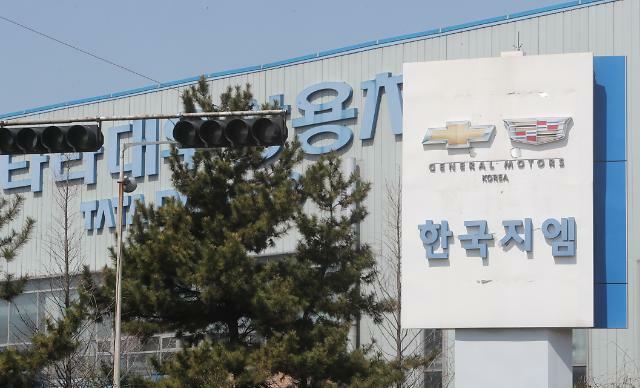 SEOUL -- A consortium of parts makers, led by a subsidiary of MS Autotech, forged a premilitary deal with U.S. carmaker General Motors to take over an idle plant in the southeastern port city of Gunsan that was shut down last year as part of global restructuring. In a regulatory filing on Friday, MS Autotech said that its subsidiary, Myoung Shin, agreed to take over the Gunsan plant's land and building for 113 billion won ($99.5 million) on June 28. MS Autotech and its subsidiary produce car parts mainly for the Hyundai auto group. The total amount of money to be injected by the consortium was not disclosed. In May last year, GM closed the plant in Gunsan, 178 kilometers (110 miles) southeast of Seoul, which used to produce two GM models, the Orlando SUV and the Cruze compact. The plant had been manned by about 2,000 workers with thousands of other workers hired by about 160 subcontractors, serving as a crucial economic pillar in the region. Some 1,400 workers left the Gunsan plant through voluntary retirement, 200 were transferred to other factories, and 400 applied for unpaid career breaks. Initially, GM promised to set up its Asia-Pacific headquarters in South Korea, run a crash test site at its research and development center and build a new painting factory. In January this year, the carmaker launched an independent corporation specializing in research and development by relocating about 3,000 workers to the new entity called "GM Korea Technical Center."